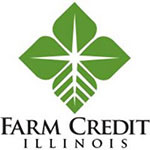 Thanks for generous support from Farm Credit. For an overview of our 2012-2015 beginning farmer training program, see Preparing a New Generation of Illinois Fruit and Vegetable Farmers. The Illinois Specialty Growers Association is the umbrella association for the Illinois Vegetable Growers Association, the Illinois State Horticultural Society, the Illinois Herb Association, and Illinois Irrigation Association. (Links to presentations from recent annual conferences available on the right-hand side of their homepage).